Lately i feel my skin looking duller than before, especially back then when i was fasting (lack of water intake) and also i was sick. My skin looks dull and unhealthy, it kinda annoyed me, especially since back then it was Eid Mubarak day. I never do my makeup on Eid, i'm more like a bare faced Eid lady haha. So it's not actually cute if my skin looks dull. Plus my wedding day is soon to come, i totally need a better skin, especially if i want the makeup to stay intact on that day. 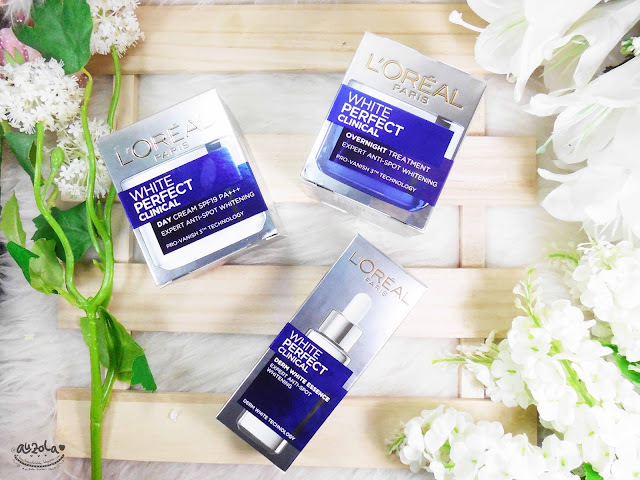 Lucky me, there are new L'Oreal Skin Expert's products in store: L'Oreal White Perfect Clinical. Claimed to offering us a fresher skin, less dull and brighter. Other than that, it can also take care of skin youth and helping us with black spots. "Achieve clear, translucent and radiant skin with White Perfect. 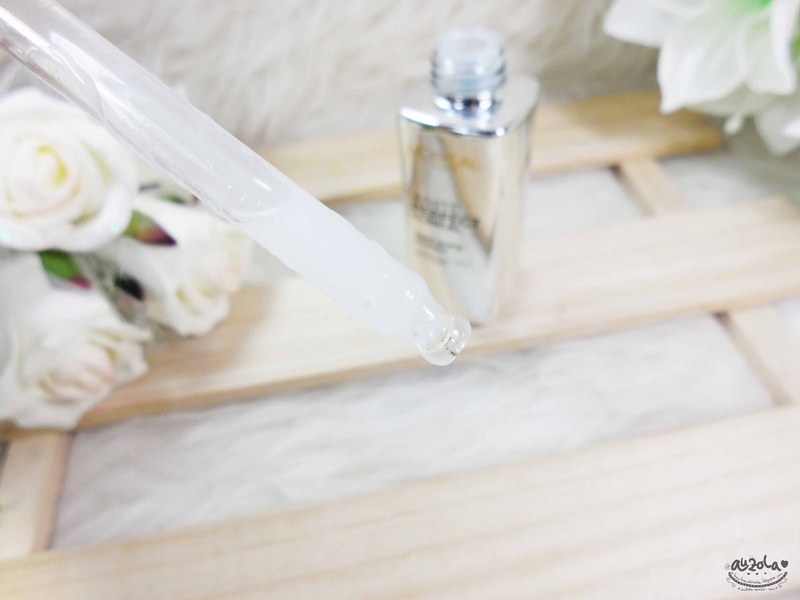 It fades dark spots and brightens skin to give you the fair, flawless complexion you desire." L'Oreal White Perfect Clinical has 3 product that i tried: White Perfect Clinical Derm White Essence, White Perfect Clinical Day Cream SPF 19 PA+++, dan White Perfect Clinical Overnight Treatment. All of them already dermatology tested and tested on Asian's skin. So here goes my review! 1. ACTYL C: Powerful whitening active, more efficient than Vitamin CG, to help reduce the exisiting stubborn spots. 2. ADENOSINE: To control melanin production to prevent future pigmentation. 3. FIBRELASTYL: To prevent the degradation of elastin and helps to prevent the yellowish appearance of skin tone. Use daily on face after toner, before moisturizer. 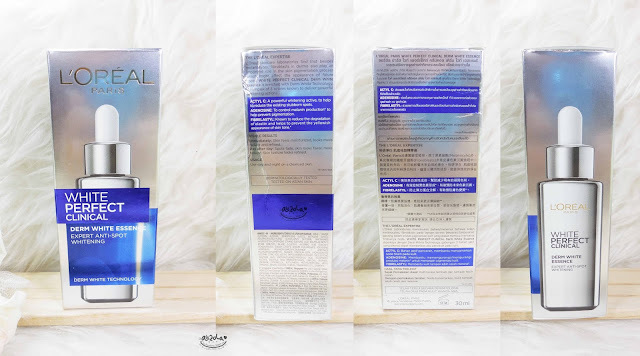 The box design looks like most of other L'Oreal skincare, but this one is blue and silver color mix. The packaging is quite elegant and looks expensive, pleasant to the eyes. Inside, it's a glass bottle with silver reflective color, reminds me of Silver Surfer from Fantastic Four. It also got pipette, i like it because it makes easier to use the product. You can estimate how much amount you want to use. The texture is watery and so light. So easy to absorb and glides smoothly on skin. 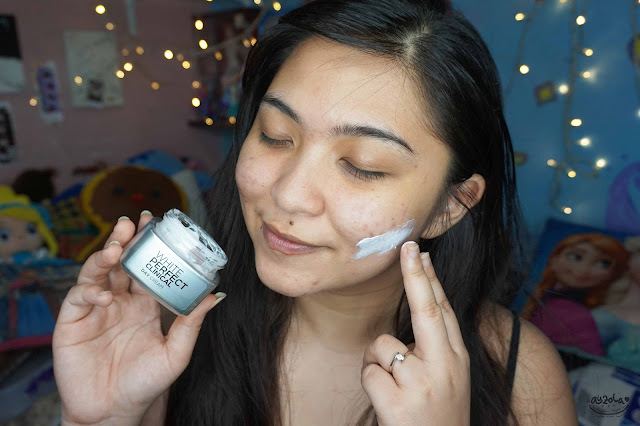 It gives my skin a nice moisture and it's not feeling sticky at all! I use only a small amount of this, but it surely give me enough moisture and the my skin still feels hydrated even after it got absorb. 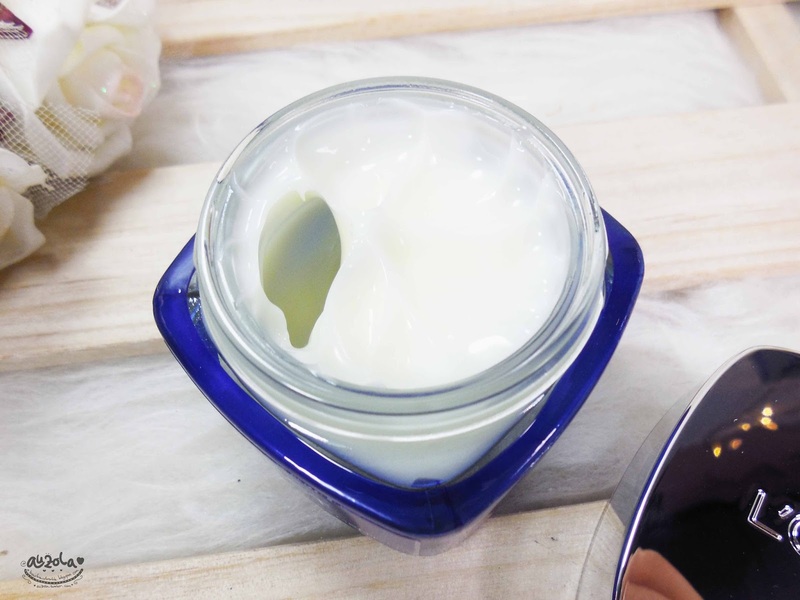 "Immediately, skin looks visibly brighter and moisturized. Day after day, skin is fairer, and skin tone gets more even. 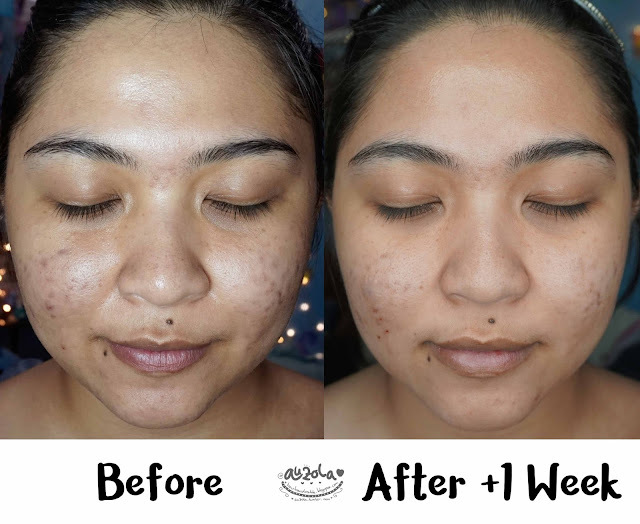 After 8 weeks, pigmented spots shrink and fade, the number of spots look visibly reduced. Skin reveals a softer and smoother texture." Just like the Derm White Essence, the day cream also has this 'silver surfer' looking box with blue combination. Inside is a glass jar, which kinda heavy, also with a silver reflective cap. For the glass jar, the color is grey-silver. The only thing missing is there's no spatula. Texture of this day cream is somehow quite light, making it easy to spread and penetrates into skin. 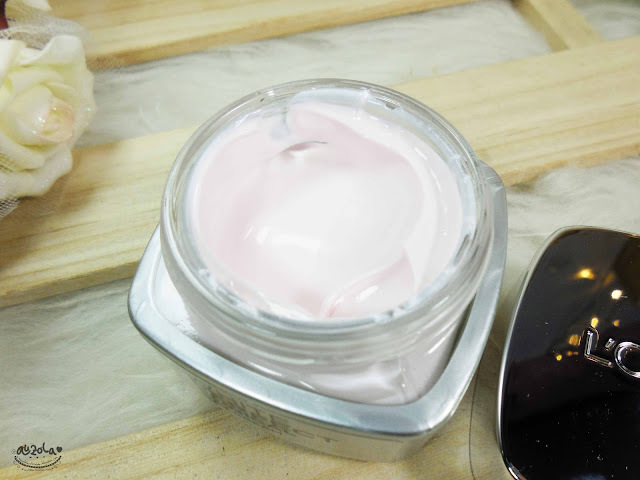 The texture is slightly in the light pink color, it gaves an nice instant brightening effect, but not white/pale skin looking, but does look a little bit brighter, enough to brighten the day haha. 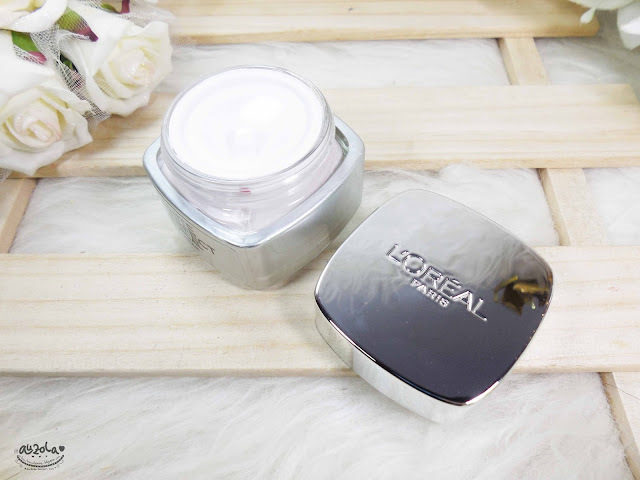 Truthfully, i'm quite amazed with the light texture, usually day cream, especially the ones with SPF have a pretty much thick texture and not-so-easy to spread, but this is different. My face also still feels light after the application of the day cream and not feeling greasy. "Immediately, skin looks more radiant and refined. Skin feels renewed after a good rest. Day after day, skin tone looks brighter and more even. Skin radiance is revealed. Skin texture becomes more refined." The night cream has the almost the same looking packaging with the day cream. 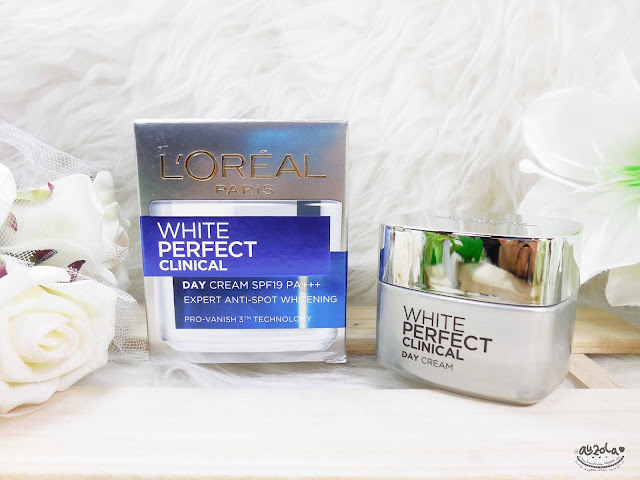 The different is the night cream is more blue. Yup with the blue glass jar, you'll definitely notice which ones which. It also has no spatula. 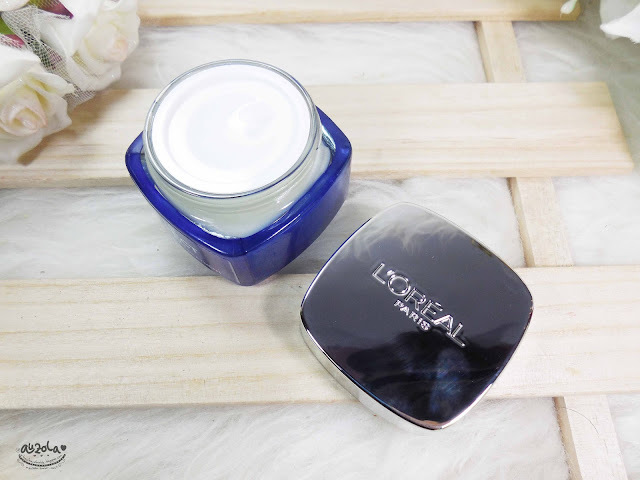 Kinda different with the day cream, the night cream texture is more like cream-gel consistency. It feels so light and fresh when applied. It makes me feel like using a over night masker, totally giving a high moisture while absorb perfectly well, a.k.a not leaving any greasy feelings. So my skin is feeling super nice and moist in the morning. 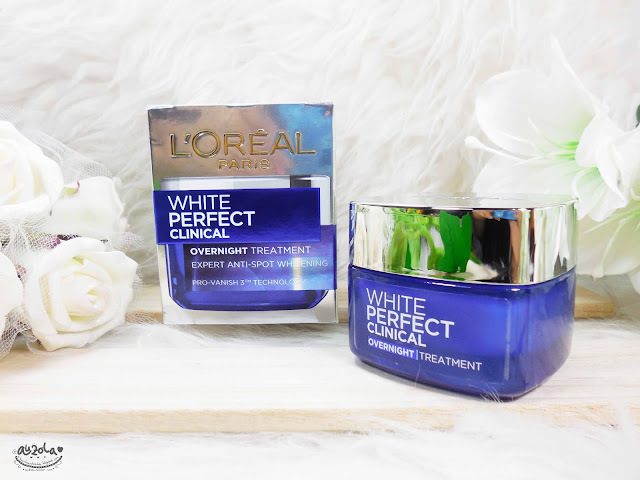 I've been using this L'Oreal White Perfect Clinical for over a week and more, plus i only use it on my daily routine, no other skincare. So far it's working nice on my skin. Well, no, i'm not suddenly turning into snowhite or something, but i do feel brighter. 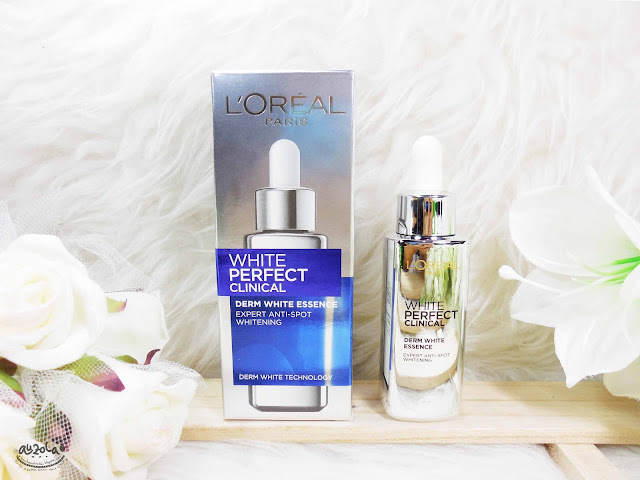 Even though when was sick, my skin still look better than the usual sick me, and i think that's because the White Perfect Clinical. Because my usual sick skin is so dull, but this time luckily it's still look brighter even though i'm dying inside with flu and cough. See, if you see the picture, you know i'm paler than the 'before' picture. But overall the skin doesnt look dull and still bright for me (at least when i see it on the mirror). I guess picture doesn't do justice sometimes because of lighting and stuff. But i feel it personally, hahaha. For dark spot i havent see any progress so far, as stated, it need at least 8 weeks of usage for it to takes effect on dark spot. But no problemo, dark spot is not an easy issue. But, you see that some of redness are slightly faded, see the red circle above. I notice, the 'after' photos got more new redness, but that's because it was my time of the month and my skin goes crazy as usual. So please do not focus there hahaha. Just see the red circle and you can see how it faded, even though i just use it for a week or more. Anyway, this does not cause any acne on my skin. The acne always come and gone, but not because of this problem, i can assure you because it does feel like my monthly menstruation acne. Hahaha, i know, i hate it too. 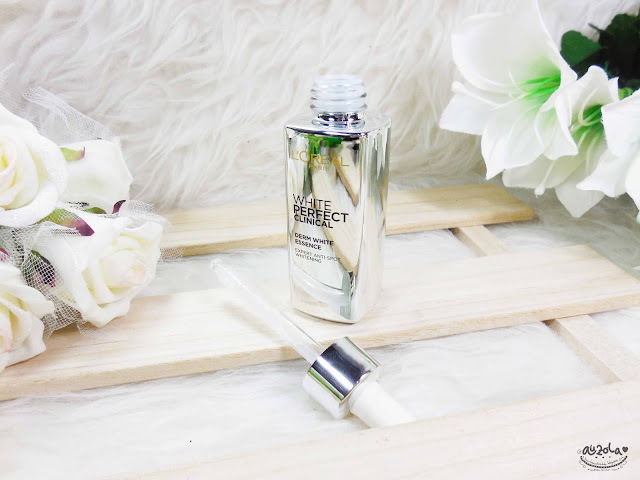 I quite like the experience of using this skincare line in the past week and more. I love it because i noticed some of my acne redness are faded and my skin looks bright even when i was sick. And for the quick usage, i quite amaze how it works on my skin. Plus it doesn't cause acne on my skin and not feeling greasy. That's all my review for now, especially you guys who just went 'mudik' and get a dull skin hehehe. See you guys on my next post!